We design and manufacture our generator sets to one global standard – from routine quality checks through to state of the art testing, our world-class production processes deliver reliable, fuel efficient, quality generator sets every time. Coupled with our global product availability and expert local support, we have the Power to Deliver. For More information on why our customers’ keep coming back, view our “ONE Global Standard”. 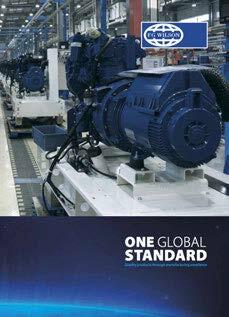 Our ONE Global Quality Standard ensures that every FG Wilson generator set is designed and manufactured to the highest UK standards. With world class production processes replicated at all our manufacturing facilities, each achieving ISO 9001 and ISO 14001 certification, we deliver a quality product every time. With worldwide logistics that span the globe, and a distribution network of 370 Dealers in over 150 countries, we provide reliable power and ongoing support when and where you need it.